Gopher tortoise; photo by FWC Fish and Wildlife Research Institute on Flickr (noncommercial use permitted with attribution / no derivative works). 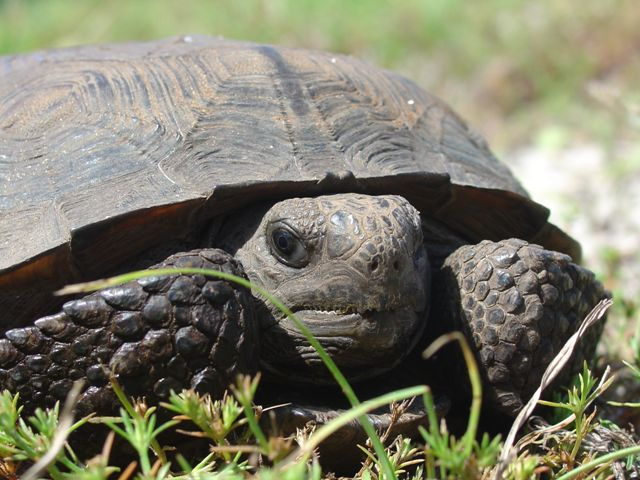 Native to Georgia, the gopher tortoise population is declining and studies indicate that it may not even exist outside of protected areas. 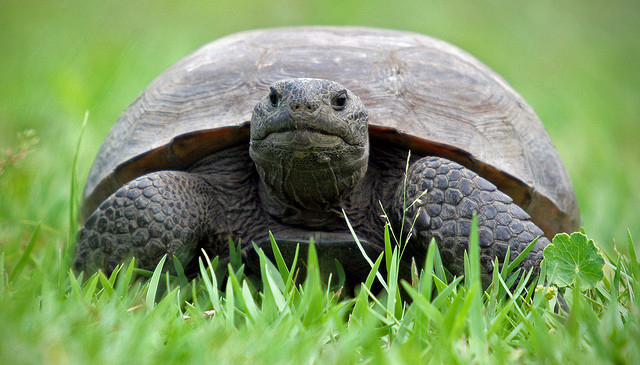 Help preserve this unique, ancient creature - if you find a tortoise on the road, stop your vehicle and gently place it off the road in the direction it is traveling (otherwise do not disturb it). WHEREAS, this ancient and ecologically beneficial reptile is deserving of the attention and appreciation of the citizens of this state by designation as the official state reptile. ... The gopher tortoise is designated as the official Georgia state reptile. Gopher tortoise; photo by Craig ONeal on Flickr (use permitted with attribution / share alike).